School children make a rangoli to welcome US President Barack Obama, at a college in Jodhpur. 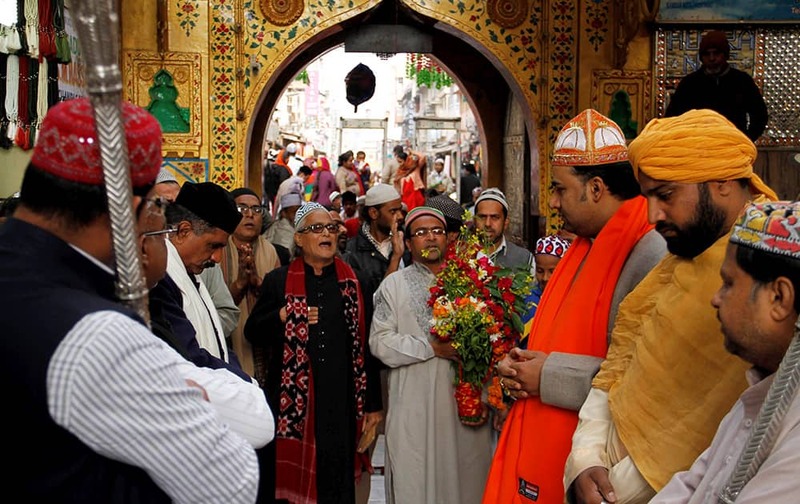 Priests and Shahi Quwaal participate in a royal procession at the shrine of Sufi Saint Khwaja Moinuddin Chishti in Ajmer. 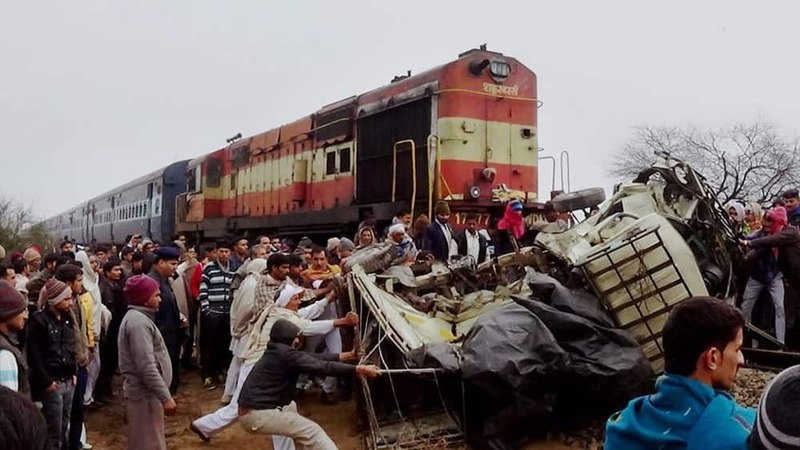 Locals gather at the site of accident after a passenger train rammed into a vehicle. 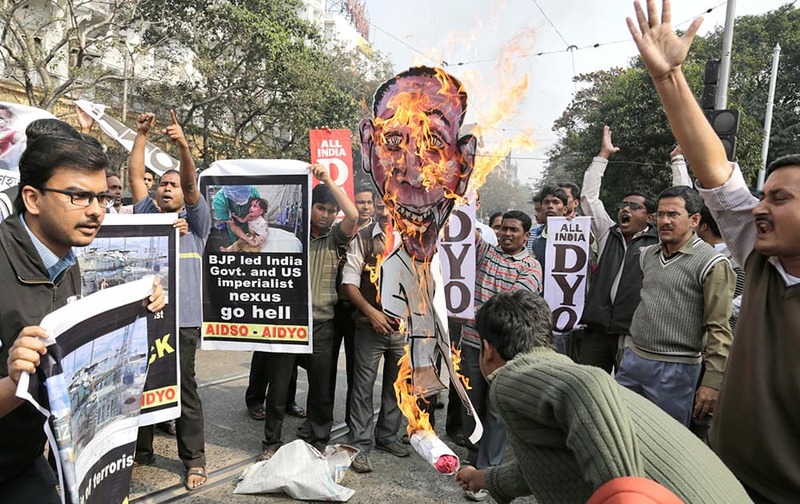 Members of All India Democratic Students Organization burn an effigy of US President Barack Obama as they protest against his visit to India, in Kolkata. 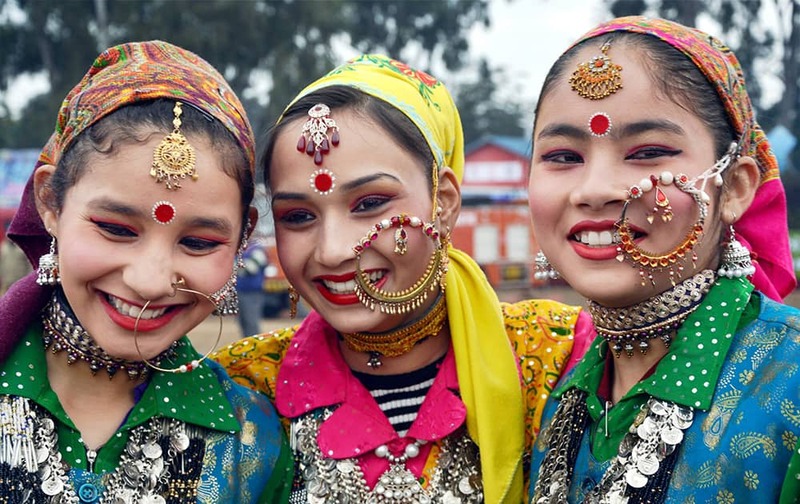 School children in traditional dress during Republic Day celebrations, in Dehradun. 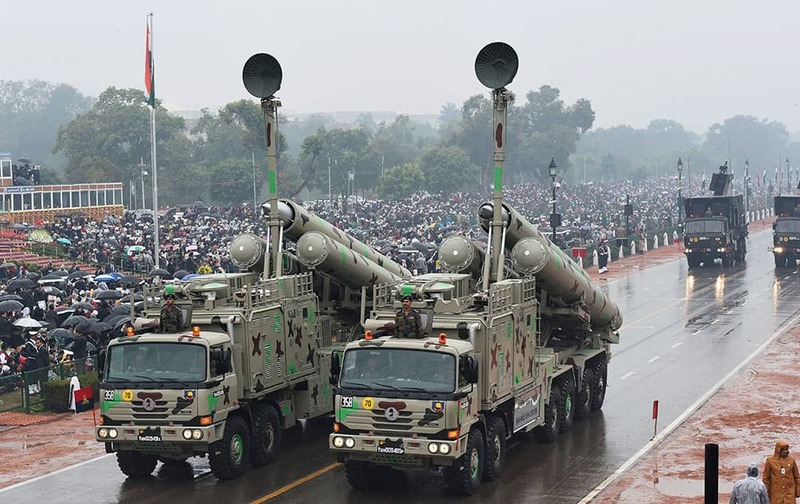 Ajinkya Rahane hits a ball to the boundary for 4 during their one day international cricket match in Sydney. 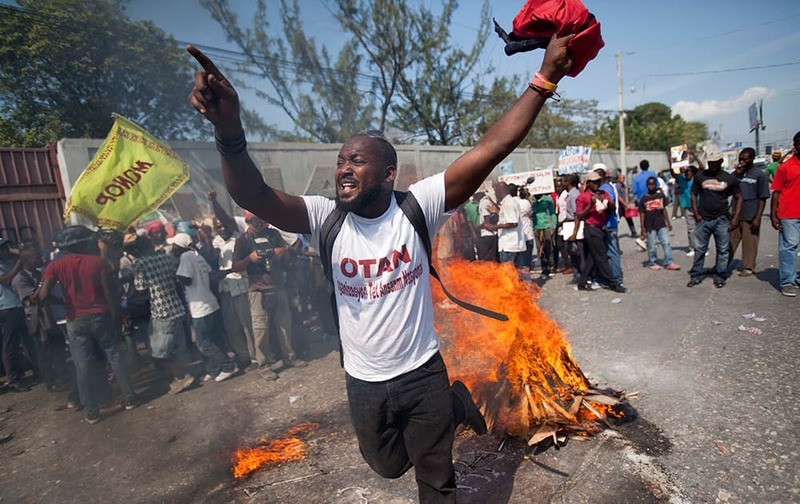 A demonstrator uses wood, gas, fire and salt to call forth a spirit to ask for protection, in a voodoo ceremony before the start of a protest demanding the resignation of President Michel Martelly in Port-au-Prince, Haiti. 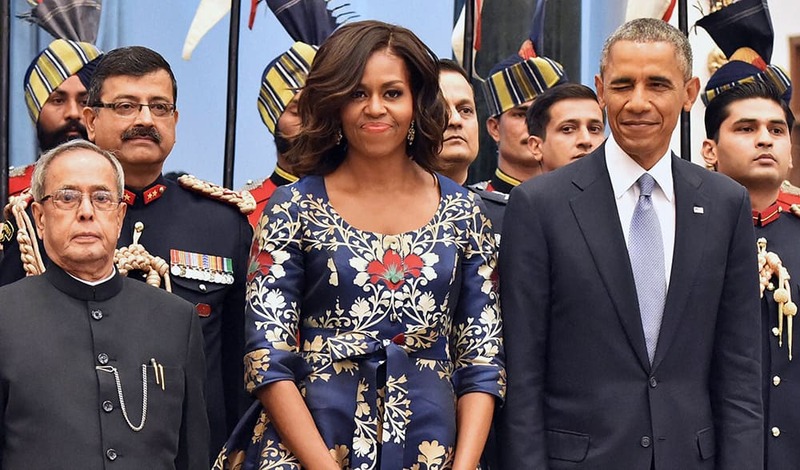 US President Barack Obama, winks standing beside first lady Michelle Obama and President Pranab Mukherjee during a receiving line before State Dinner at the Rashtrapati Bhavan, the presidential palace, in New Delhi. Victoria Azarenka of Belarus falls to the court as she plays Dominika Cibulkova of Slovakia during their fourth round match at the Australian Open tennis championship in Melbourne, Australia. 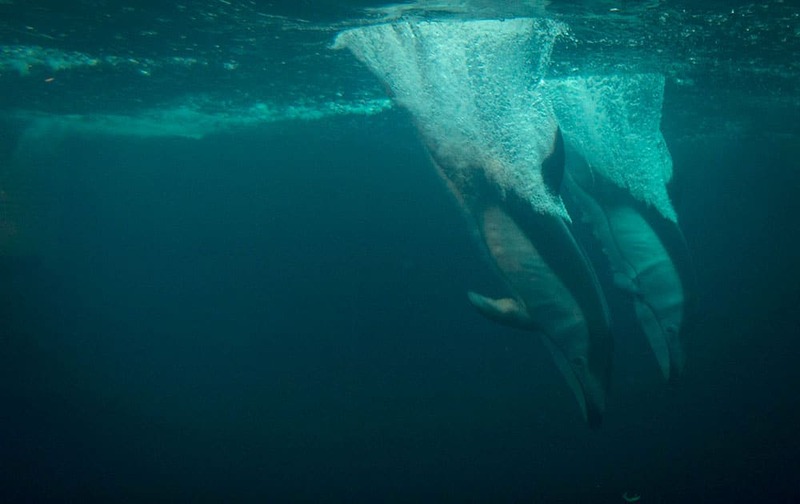 Two Pacific white-sided dolphins dive into a pool at the Vancouver Aquarium in Vancouver, British Columbia. 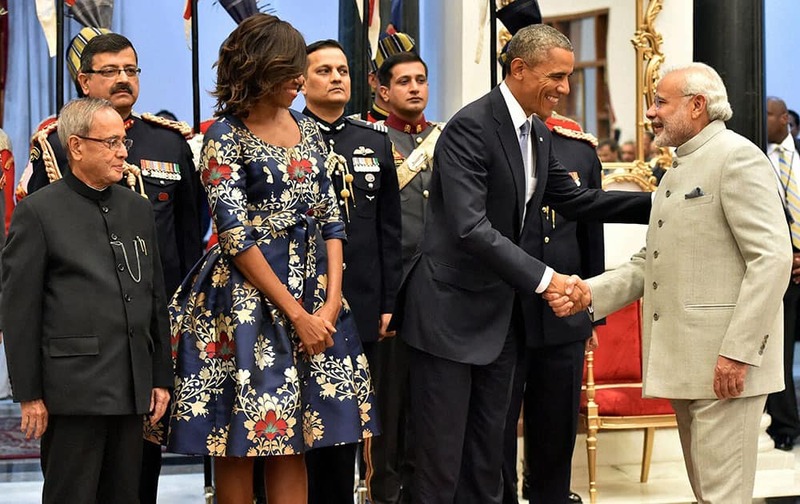 President Pranab Mukherjee and US First Lady Michelle Obama look on as US President Barack Obama shakes hands with Prime Minister Narendra Modi during a banquet hosted at the Rashtrapati Bhavan in New Delhi. 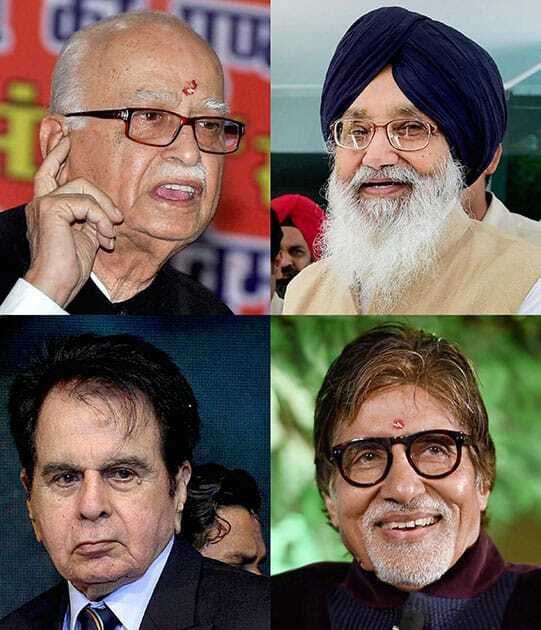 File photos of BJP veteran LK Advani, senior SAD leader Parkash Singh Badal, Bollywood megastar Amitabh Bachchan and legendary actor Dilip Kumar who will be conferred upon the prestigious Padma Vibhushan award as announced by the government.